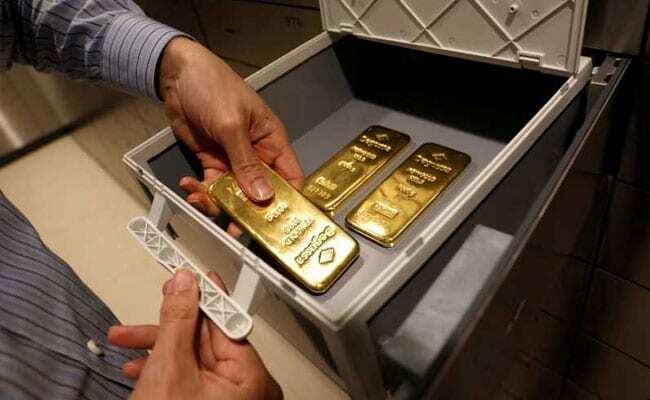 Sovereign gold remained unaltered at Rs 26,400 per piece of eight gram. Gold prices dropped by Rs 50 to Rs 33,170 per 10 gram on Tuesday in national capital, reported news agency Press Trust of India (PTI) quoting the All India Sarafa Association. A weak global trend and muted demand from local jewelers were largely responsible for the fall in prices of the yellow metal, traders were quoted as saying in the PTI report. In the international market, gold rates eased after hitting one-month high in the previous session, as a slight recovery in share markets and US Treasury yields reduced some of the precious metal's safe-haven appeal and slackened demand from local jewellers and retailers at domestic spot market. 1. In the national capital, gold of 99.9 per cent and 99.5 per cent purity fell by Rs 50 each to Rs 33,170 and Rs 33,000 per ten gram, respectively. 2. Sovereign gold, however, remained unaltered at Rs 26,400 per piece of eight gram. 3. Globally, gold fell 0.24 per cent to $1,319.20 an ounce and silver by 0.35 per cent to $15.56 an ounce in New York Tuesday. 4. Silver followed suit and slipped by Rs 100 to Rs 39,100 per kg owing to reduced offtake by industrial units and coin makers. The weekly-based delivery traded a shade higher at Rs 38,365 per kg. 5. Silver coins maintained a steady trend at Rs 80,000 for buying and Rs 81,000 for selling of 100 pieces.